Tracing its roots back to 1878, University Liggett School is noteworthy for its committed faculty, cohesive school community, strong leadership, and progressive academic program. Seven members of the Liggett family, headed by the Rev. James D. Liggett, also a lawyer, editor and abolitionist publisher, settled in Detroit to establish a small, independent school for girls christened originally as The Detroit Home and Day School. The beginnings were modest. Classes were held in the one-time boarding house along what is now Broadway Avenue near Grand River. There was a parlor for class gatherings, a small boarding apartment upstairs, and a small rear yard for outdoor play. Most children walked to school from fashionable homes along Woodward Avenue or Grand River, while some arrived in horse-driven carriages. For the most part, The Liggett School (as it was renamed in 1914) was an accessible, centrally located school for girls devoted to high standards, proper behavior and preparation for college, as well as life. In 1883, the school moved to its own three-story brick building, at what was then a central location in Detroit at the corner of Cass Avenue and Stimson Place. In 1914, the Albert Kahn-designed “Eastern Liggett" branch, on Burns Avenue at Charlevoix, was built and soon fully occupied. It would remain so until 1964, when Liggett School classes were held in a new building constructed on Briarcliff Drive in Grosse Pointe Woods. Detroit University School, the second of our four predecessor schools, was founded in 1899 by Frederick Leroy Bliss and Henry Gray Sherrard. Both men sought independence from the public schools, envisioning a school not only of high academic standards, but an institution providing direction for the moral and physical well-being of young men. In 1916, after fire destroyed Detroit University School's original building at Elmwood between Larned and Congress, it moved to what became known as the ''Castle," a Gothic-style former residence on Parkview Drive midway between Jefferson Avenue and the Detroit River. There it remained until 1928, when, with the help of Henry and Edsel Ford and many other prominent Detroiters, the school found a new home on Cook Road, then the eastern limits of Grosse Pointe. Legend has it that an epidemic of typhoid prompted the founding of Grosse Pointe School in 1915 (later named Grosse Pointe Country Day School). At the time, Grosse Pointe had no private, primary, and secondary school of its own and the children of many families attended either The Liggett School or Detroit University School. The epidemic apparently led to a citywide quarantine and students from Grosse Pointe lost time from school. Opened in 1915 in a white frame house (still standing at 301 Roosevelt Place in Grosse Pointe), the school served boys and girls from kindergarten through ninth-grade. A year later, classes opened in an English-style building located at Fisher Road and Grosse Pointe Boulevard. The school flourished in the 1920s, despite changes in administration and fluctuation in enrollment. In 1941, Detroit University School and Grosse Pointe Country Day School joined forces under one board. For the day-to-day life of the schools, however, the only major change was that Country Day sent its older boys to DUS and became a school for girls. 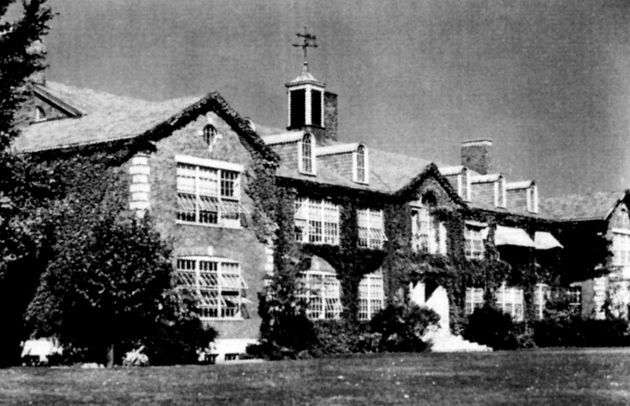 In 1954, the Country Day building was sold to the Grosse Pointe public schools and the girls joined the boys on the Cook Road campus. The merger of the two schools was complete and Grosse Pointe University School (GPUS) was born. The celebrated modern architect, Minoru Yamasaki, was commissioned to design a lower and middle school and other facilities, including a new gymnasium, auditorium, library and fine arts rooms to complement the older, two-story brick building erected in 1928. The school attracted students from a wider and wider area and added yet more facilities, until in 1969, the need for an increase in space for the middle school was solved by merging GPUS with The Liggett School to form University Liggett School - ULS. Liggett’s diverse and storied heritage has exerted its impact on the Grosse Pointe community and on the school community of today. When the Reverend James D. Liggett founded the Detroit Home and Day School in 1878, his objective was to create an institution that would prepare young people for the challenges of the 20th Century. Today, as Michigan’s oldest independent, coeducational school, Liggett is busy with the task of preparing young people for the challenges of the current century. Our students come from all over the southeast Michigan region, including the central city of Detroit and a wide range of suburban areas – more than 50 zip codes. 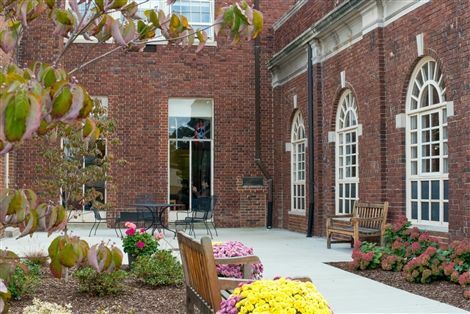 Liggett enjoys a national reputation as one of America's top educational institutions – known for its rigorous college preparatory curriculum, small class sizes, individual attention, and world-class college counseling program. Liggett – with three divisions, more than 600 students, more than 100 teachers and sprawling 50 acres in Grosse Pointe Woods – stands in striking contrast to the modest Liggett School opened in a converted Detroit boarding house more than a century ago. Yet, despite the myriad global changes that have occurred in that span of time, that legacy of excellence in education is alive today in a vibrant learning environment. Situated in Grosse Pointe Woods, Michigan, a 40-acre campus on Cook Road (east of Mack Avenue, between Moross and Vernier Roads), is the site of University Liggett School.